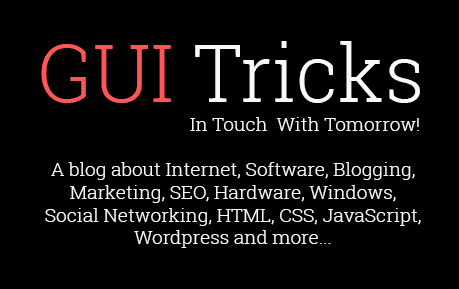 How To Set Up And Configure Yoast WordPress SEO Plugin | GUI Tricks - In Touch With Tomorrow! How To Set Up And Configure Yoast WordPress SEO Plugin - GUI Tricks - In Touch With Tomorrow! Do you wanna install and set up Yoast SEO plugin? Not sure where to start from? Keep reading and find out. With plenty of great features and built-in tools, Yoast is considered to be one of the most comprehensive and the best WordPress SEO plugins. So, it shouldn't come as a surprise why so many people want to install and use this advanced plugin. Let’s see how to set up Yoast plugin in 10 easy steps for optimal SEO performance. The very first thing you should do before setting up Yoast SEO is to install and activate it. Once you have activated the Yoast plugin, a new menu item named SEO with the Yoast logo will appear in WordPress admin bar. Now, you can keep on configuring it. Assuming that most of you already use a theme framework or WordPress plugin such as All in One SEO Pack, you're supposed to transfer all of your preceding data to the Yoast by means of an SEO Data Transporter before deactivating the previous plugin. Those who want to set up Yoast SEO on a new blog should skip this step. Let’s go through each of these tabs in a nutshell. For general settings, you need to click on the tab labeled "General" and then open the configuration wizard for step-by-step configuration process. Ignore this wizard for now, and let's see other options as well. Try to set up each of these items yourself; it's quite easy. You just need to read everything that pops up when clicking each of the buttons, as well as to fill out the forms or choose options based on your needs. The next tab is "Your Info." This is where you need to provide info about your website, as well as the company or person behind it. Make sure to provide the name of a website (it could be the title of your site) and an alternate name that will be used by search engines. Thereafter, choose if that site is run by an individual person or a company. As you may already know, the popular search engines (like Google and Bing) let you add your WordPress website via webmaster tools. These tools allow you to view all the exclusive data related to your website. Upload a file or add a meta tag over there in order to verify your website. Finally, you get to the "Security" tab. In security settings, make sure to leave the "Advanced part of the WordPress SEO meta box" disabled. This way your authors will not be able to make any advanced changes. If you're looking for quick redirects to your website on WordPress, this is the way to go. It allows you to fix 404 errors in no time. Once you’ve finished your WordPress post, save it and run a free analysis below the snippet preview. That will help you properly optimize your blog posts for the best results. Don't forget to do it!